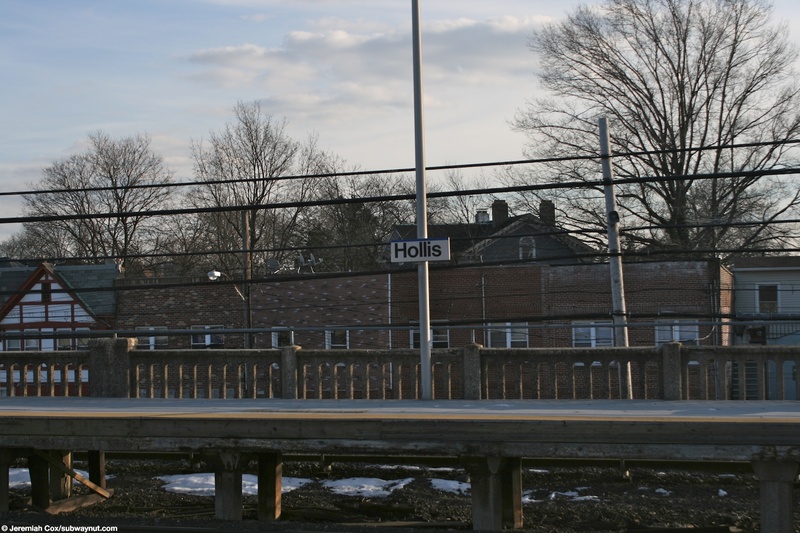 Hollis is one of the more minor LIRR stations within Queens and has a very simple yet unusual design. 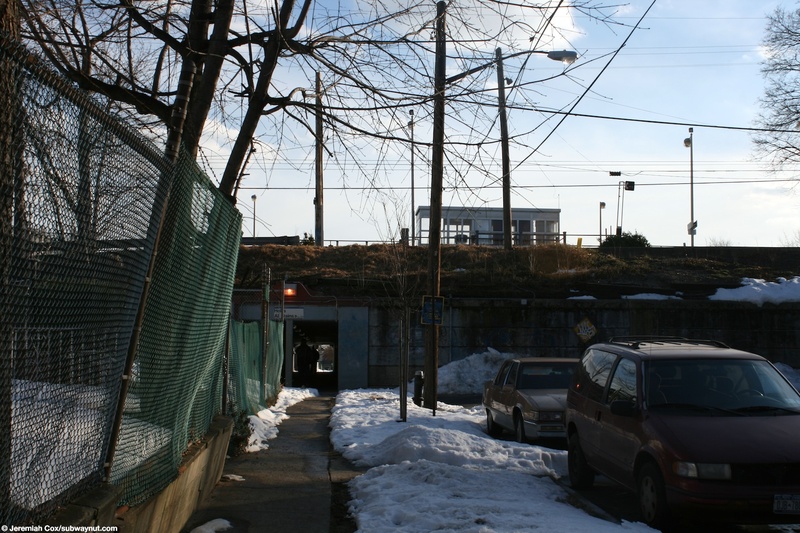 It is located on the Main Line, which is on an embankment at this point. 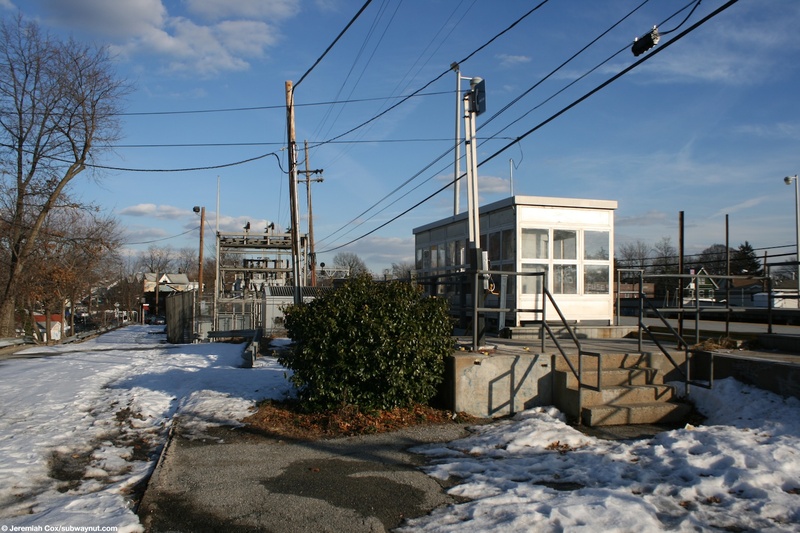 The station is less than a mile away from the Hillside Facility, a LIRR maintenance facility that has its own employee's only train stop. 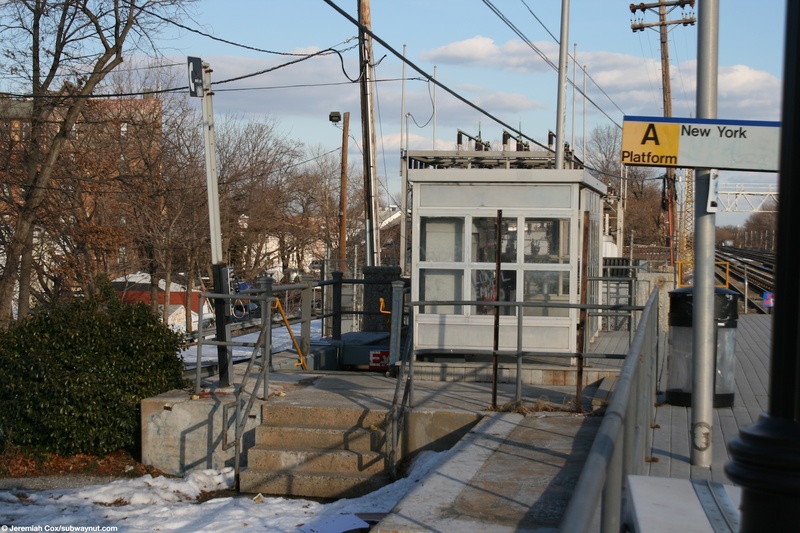 It would seem sensible to replace the stop with a public entrance to the Hillside Facility from the street to provide more frequent service to both stations. 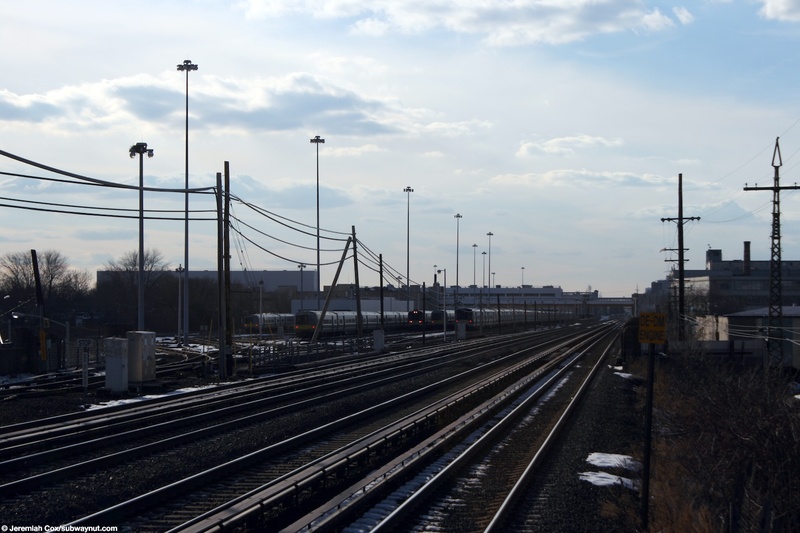 The electric trains in the yard at Hillside are clearly visible from Hollis platform. 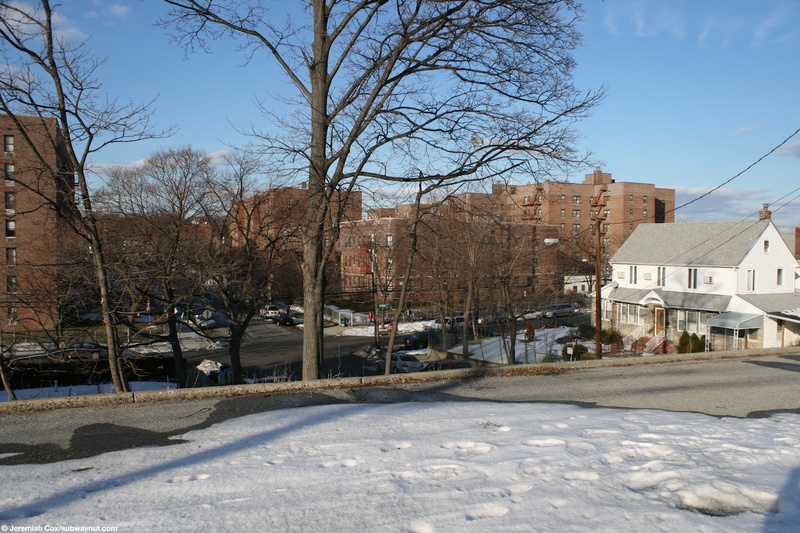 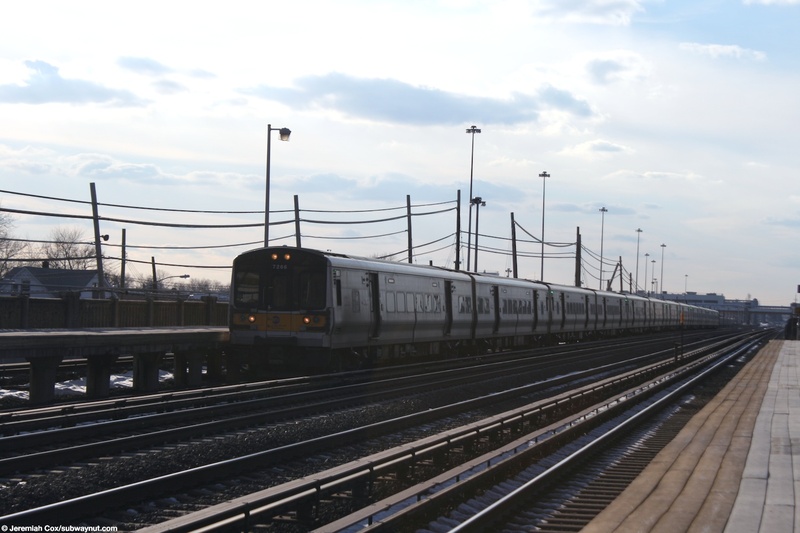 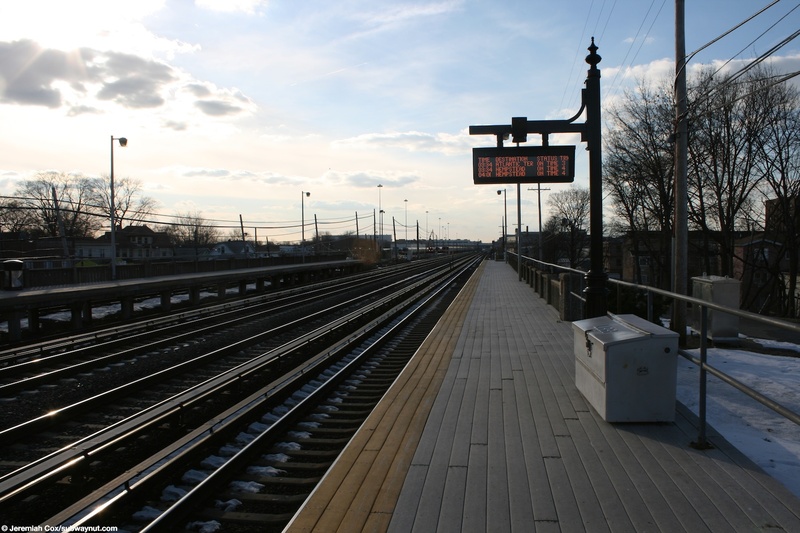 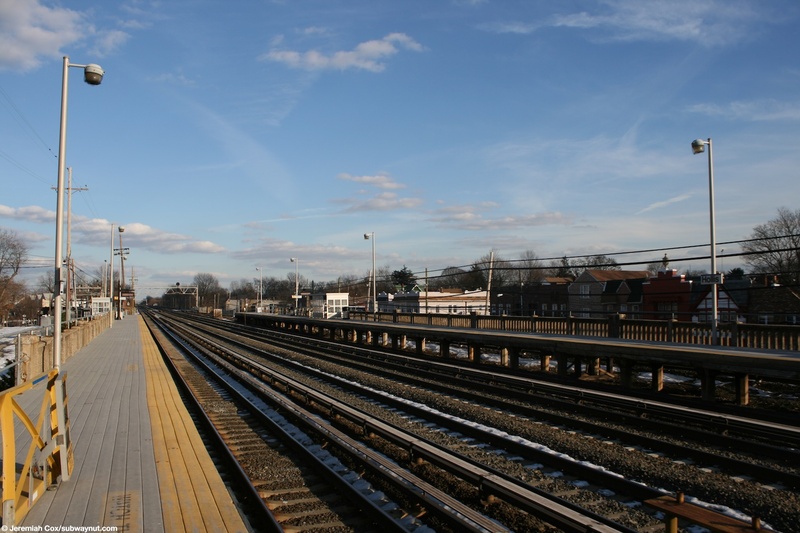 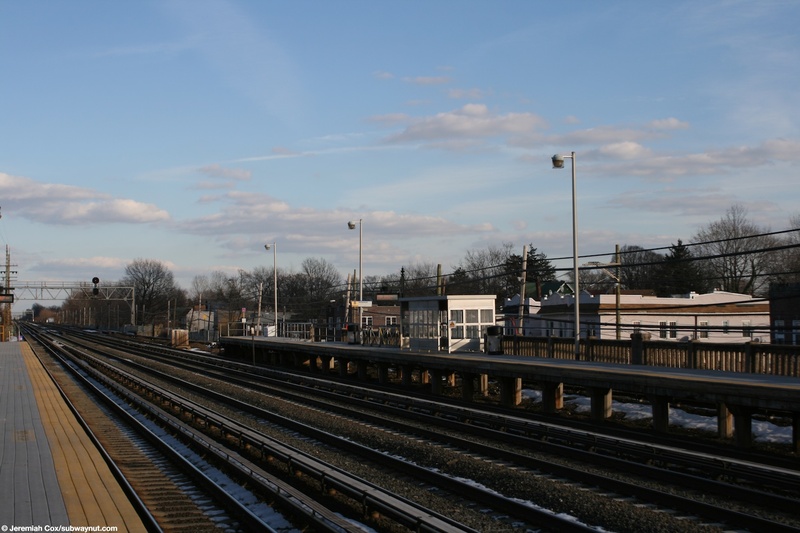 The station, although on the Main Line, can be considered part of the Hempstead branch for service since every train that stops in the station except for one westbound in the AM peak (the special electric local from East Williston) originates or terminates in Hempstead. 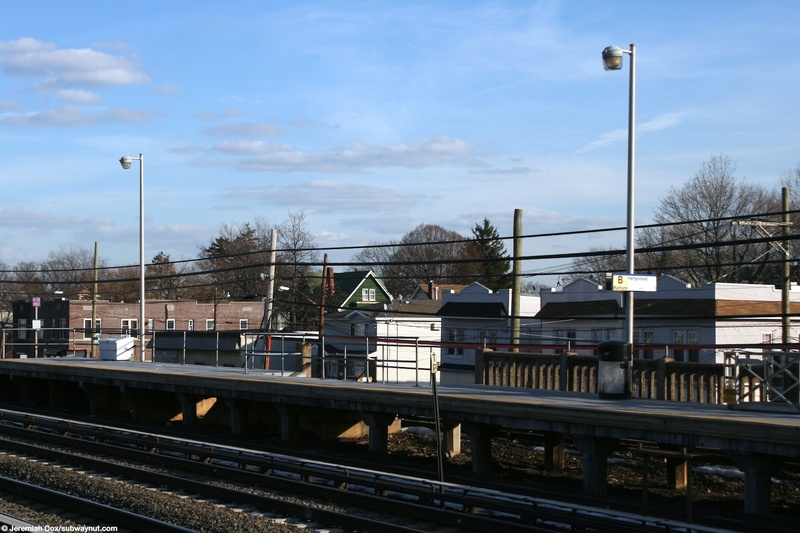 The stop has two side platforms on either side of the four-track main line. 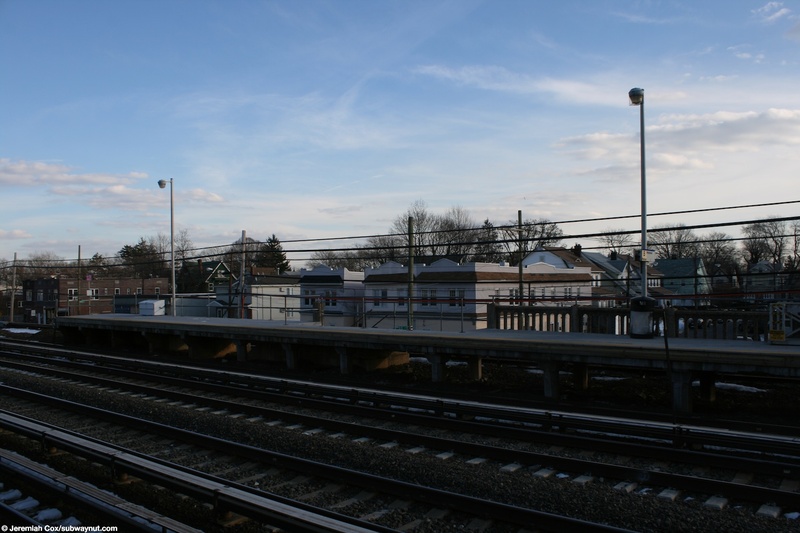 There is a secondary yard lead that passes the Hempstead-bound platform (beyond its simple fence) as a fifth track that doesn't platform is electrified. 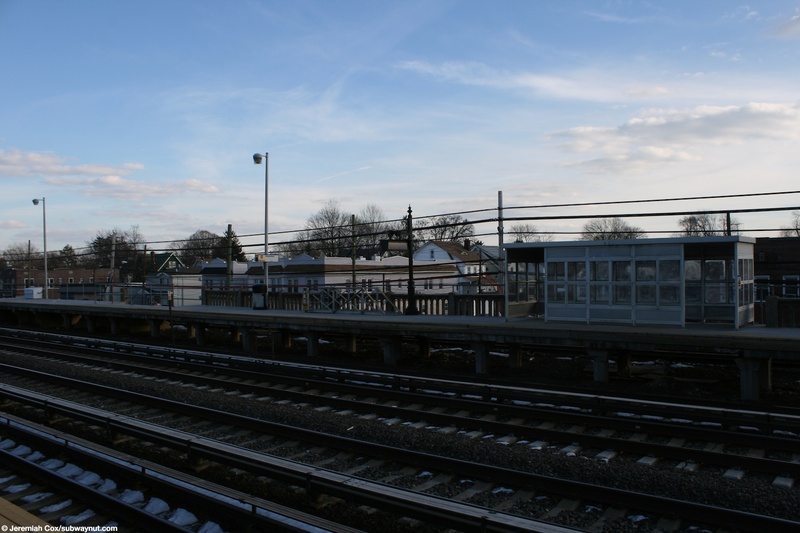 Both side platforms are made out of wood, only four cars can platform, and for shelter each has an old large silver shelter area with the Manhattan-bound platform hosting the station's only TVMs. 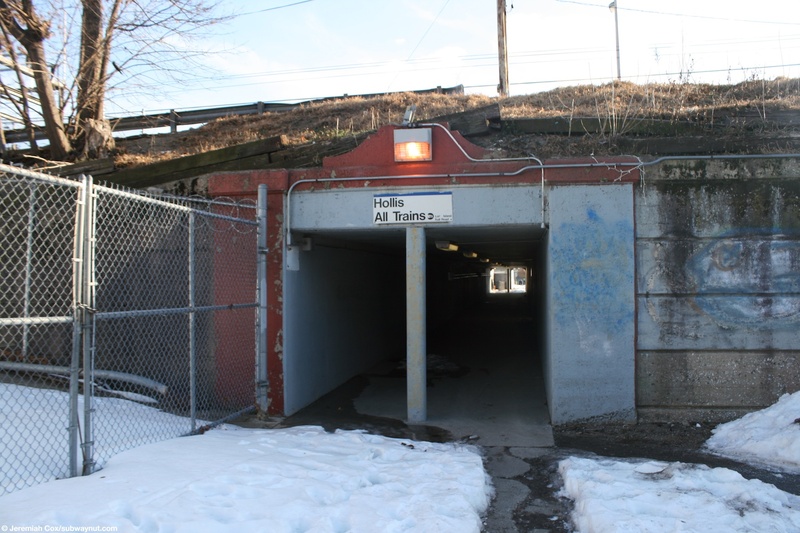 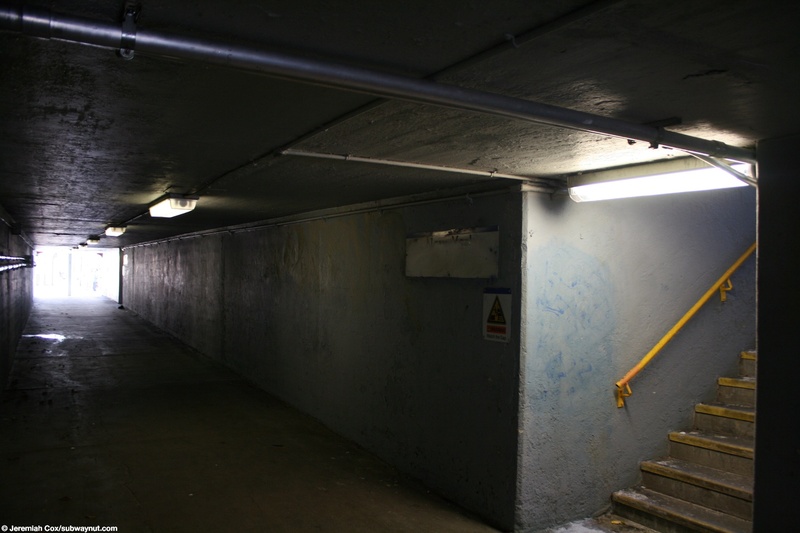 The main way to access the platform is via a pedestrian tunnel beneath the tracks that connects two disjointed sections of 193 Street the northside access is at a dead end, southside is along 99 Avenue's sidewalk. 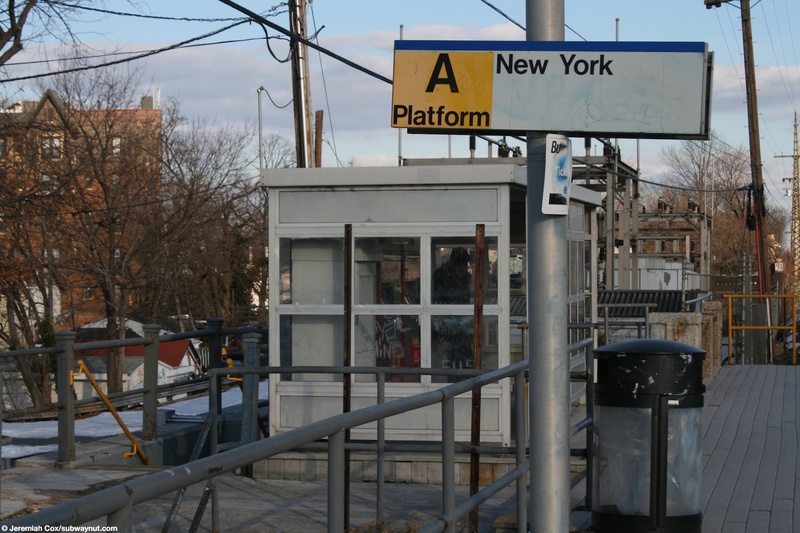 It has a single staircase up to each platform. 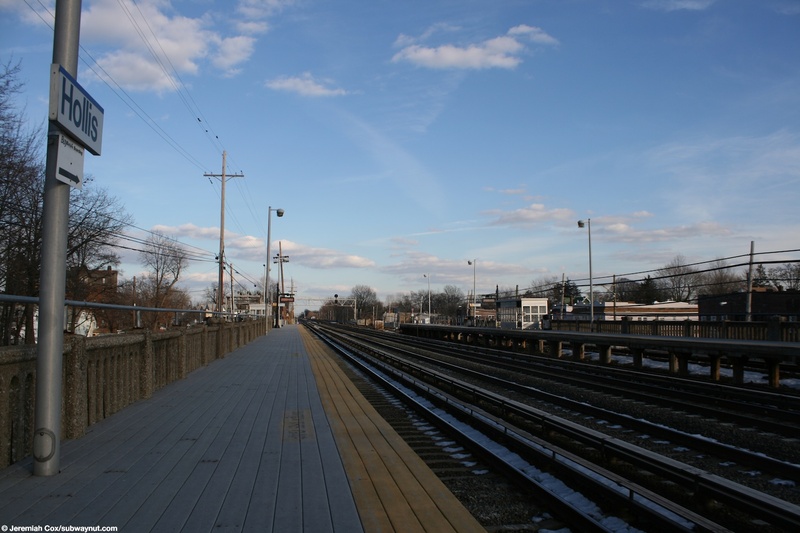 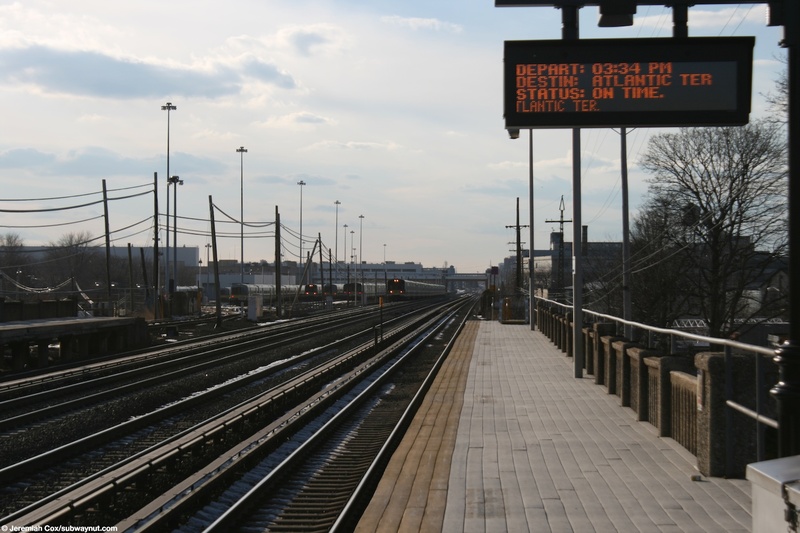 The New York-bound platform is also connected to a now fenced off roadway that runs up to the platform that is a dead end of Sagamore Avenue. 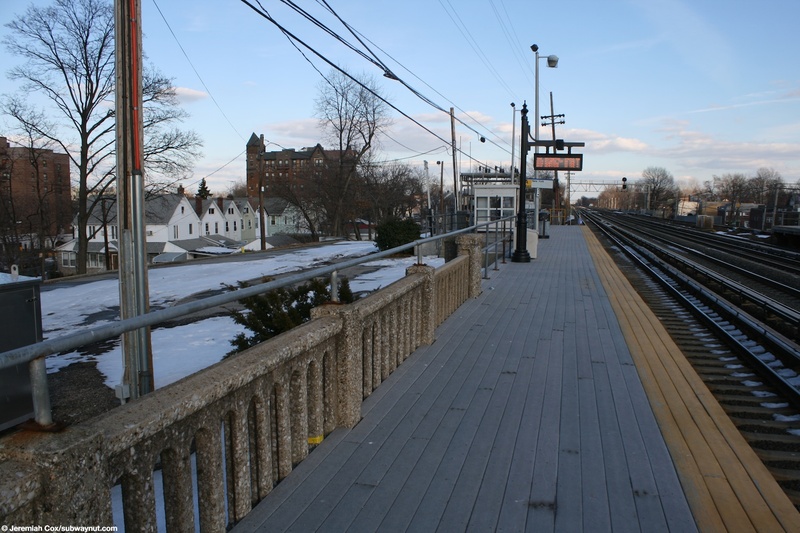 A fence to the west of the station prevents cars today using the street for a through route but pedestrians can also access the station from the end of 191 Street. 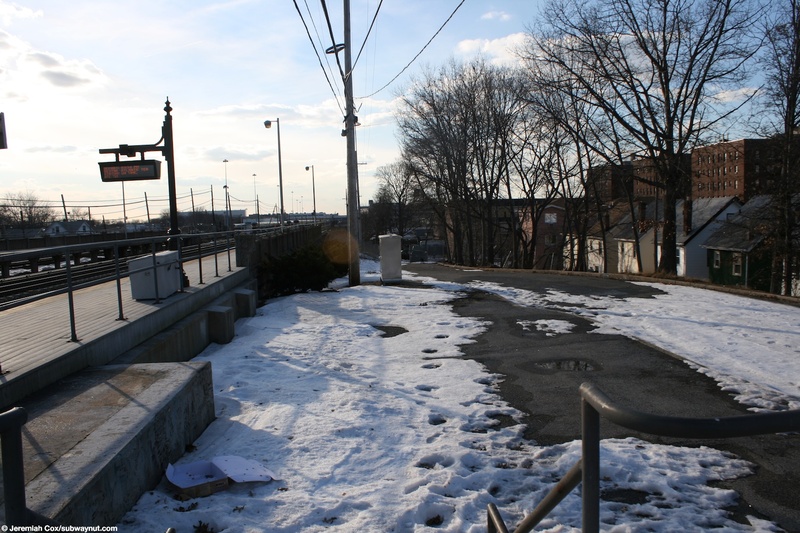 This roadway was originally used by LIRR maintenance personnel and for drop-offs until the late 1980s (recollection of Keith Viverette) when it was closed.